ABILENE– The University of Mary Hardin-Baylor volleyball team earned a 3-1 win over Hardin-Simmons Tuesday evening in Abilene, beating the Cowgirls 25-15, 25-19, 25-27, 25-22. The win improved the Cru to 19-4 overall and 11-1 in American Southwest Conference action while the Cowgirls fell to 7-13 overall and 6-8 in conference play. UMHB opened the match with a 5-0 run in the first set, before the Cowgirls pulled within one. UMHB responded with 10-1 run to end the first set 25-15. The second set was played evenly until UMHB rallied a 7-1 run to gain leverage on the Cowgirls, earning the 25-19 second-set win. Hardin-Simmons led early in the third set before UMHB rallied for a six point lead. The Cowgirls trailed 24-20 before mustering 7-2 rally to take the third set 27-25. The Cru then used a 5-0 run followed by a 7-0 run to take the match with a 25-22 fourth-set win. Lauren Powell led the Cru with 13 kills while Kendall Pye added 12 and Abby Voskuil hit eight. Shelby Prather and Natasha Evans split time in the setter position, recording 24 and 23 assists respectively. Prather also served three aces with Voskuil and Kendra Feldmann each serving one. Defensively, Feldmann led the Cru with 20 digs while Powell added 16 and Evans recorded 14. Cheyenne Dowdey led the Cru in blocking, recording one solo block and five block assists, helping UMHB to a team-total seven blocks. 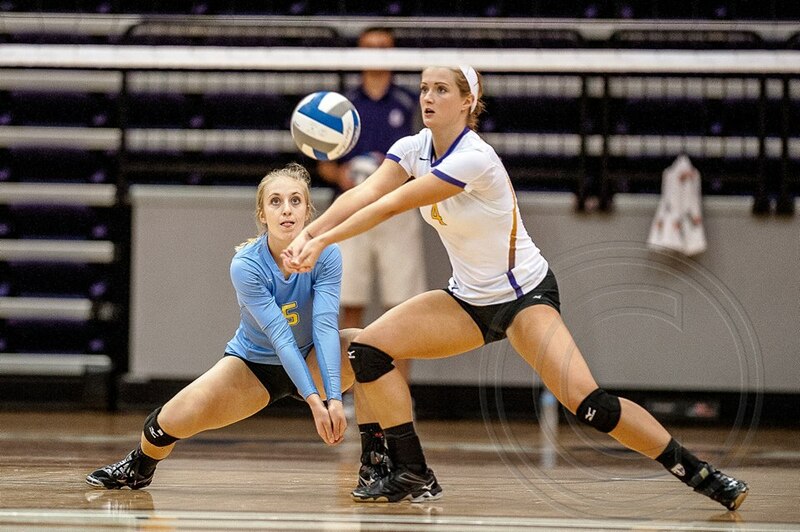 The Cru totaled 50 kills for a .201 percentage, adding 49 assists, five aces and 69 digs. Hardin-Simmons was limited to 46 kills in 153 attempts for a .111 percentage. UMHB returns to action Friday in a 6 p.m. match at the University of Texas at Dallas in Richardson.